The print is approximately A3 size and printed on thick high quality archival paper. A white border is added to allow the print to be mounted and framed. 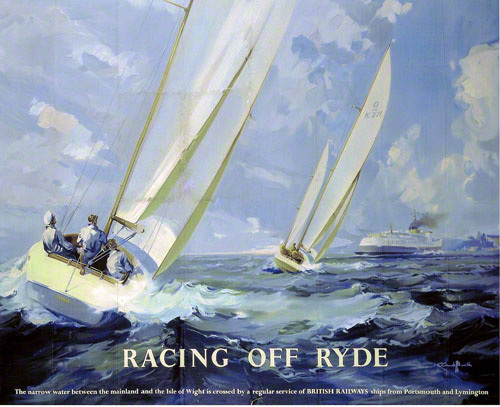 Racing off Ryde, Isle of Wight, is one of most popular railway posters that Claude Buckle painted in oils. 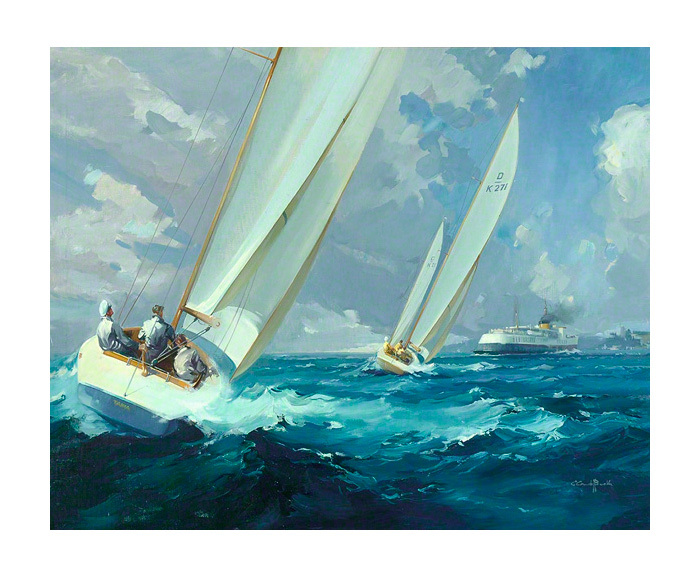 We are lucky that the original oil painting is preserved in mint condition at the National Railway Museum NRM and is regularly exhibited. 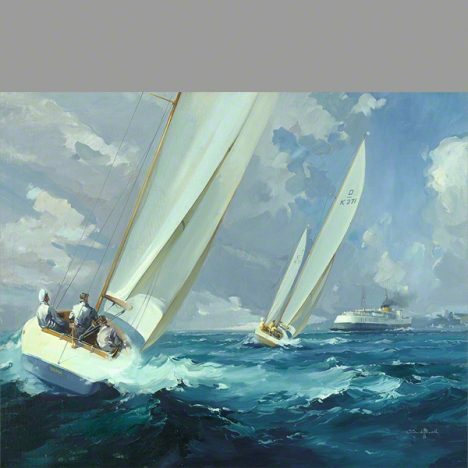 The poster shows a sailing race on this popular water, a hobby that the artist enjoyed and participated in. Painted in 1955 in the Studio at Vernham Dean and commissioned by Southern Region of British Rail.